If you get hurt at work as a result of your criminal actions, then that would likely negate your ability to collect workers’ comp benefits. If you are at work and get hurt, you are usually entitled to collect workers’ compensation benefits. In the state of Missouri, companies and business owners are required to take out insurance policies to cover both themselves and their employees should someone be injured while on the job. The insurance is in place to make sure that an injury doesn’t bankrupt a company while also ensuring that the injured worker gets what they need in compensation. To collect workers’ compensation, unlike with personal injury claims, you do not have to prove that your employer was negligent in any way for your injuries. In fact, you can be solely to blame for getting hurt. But that does not mean that you are covered in all instances. You do have the obligation to prove that you were performing in work-related activities while you were hurt and that you weren’t engaging in either egregiously negligent acts or criminal activity if you are hurt while at work. What would constitute egregious acts or criminal activity? If you are at work and your responsibility is to drive clients around for the evening and show them a good time, and you get into an accident and are at fault, then you are probably eligible to collect workers’ compensation, and you would probably be covered through vicarious liability for any damages to property. But if you were drinking while driving and you are in an accident, regardless of whether or not you are entertaining clients (which would be under the scope of your employment and would make you eligible), since you behaved outside of the law, you would probably not be covered under workers’ compensation or vicarious liability. You might be solely and wholly responsible both for your own injuries and any sustained by the other individual. If you are engaging in risky behaviors like driving a forklift while under the influence of drugs and you get hurt while working in a warehouse, then you would also probably not be covered under workers’ compensation. The insurance company would have to prove that it was your intoxication that was to blame for the accident before they could deny you coverage. If your employer also has strict guidelines about drugs at your place of employment, then that could constitute grounds for your ineligibility as well. However, if you are taking prescription drugs and get into a forklift accident just because you were clumsy, and not because you were intoxicated – and you can prove it – then you are probably still eligible. When you are at work, your employer has the right to expect that you are not engaging in criminal activity. 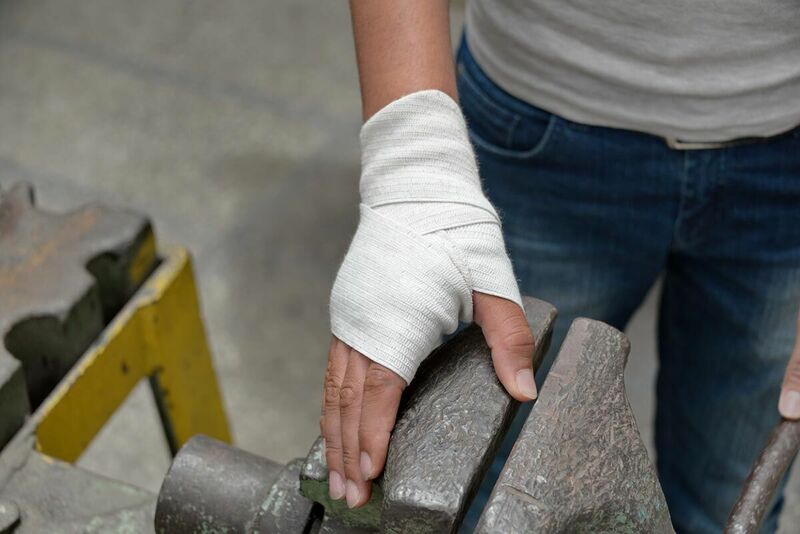 If you do and you get injured as a result of your criminal actions, then that would likely negate your ability to collect workers’ compensation benefits. So if you are being accused of a crime while you were performing under the authority and scope of your employment and got hurt, it is imperative that you hire a St. Louis workers’ compensation lawyer to plead your case. For over 20 years our St. Louis work injury lawyers at the Law Office of James M. Hoffmann have been working to protect the rights of Missouri workers who have been injured on the job. Call us today at (314) 361-4300 or fill out our online contact form to request a free and private consultation.